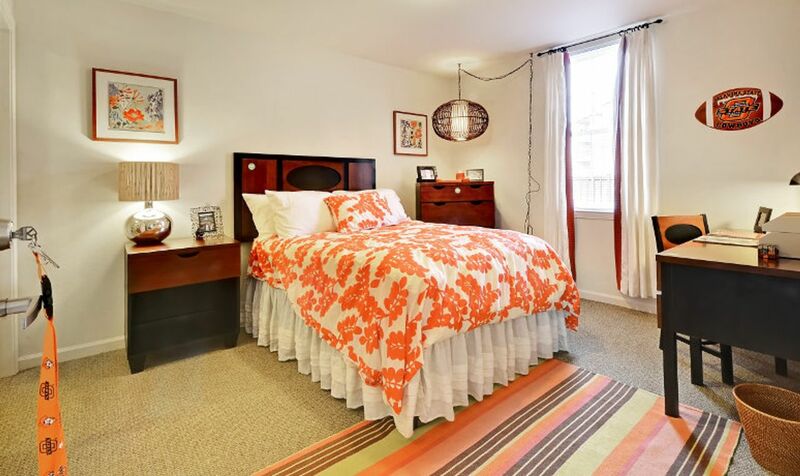 In student housing at Avenue East, you’ll be ideally located to make the most of your time in Stillwater. Spend lazy afternoons spotting the resident owls at The Botanic Garden, or grab your bike and head down one of the picturesque trails at Boomer Lake Park. Later, join friends at Boone Pickens Stadium to cheer on the Cowboys football team, or enjoy a trip to Sheerar Museum of Stillwater History and learn more about your new neighborhood. Fill up on artisan flatbreads and bowls of steaming pasta on the patio at Brooklyn’s afterwards, then swing by LOL Comedy Club for a fun evening of live shows. Make your home at Avenue East and you can walk to classes at Oklahoma State University in just 17 minutes. 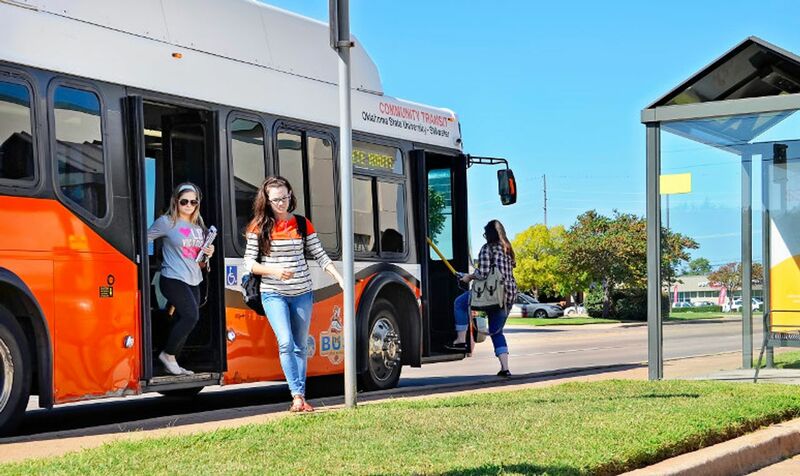 If you wake up late for class one morning, hop in your car in the free on-site parking facility and drive there in five minutes, or jump on the direct bus service to campus and get there in seven. After a day of classes, head home to your furnished apartment to unwind. Drop your laundry into the washer dryer, then connect to the high-speed Wi-Fi to check your emails. Then, head through to your open-plan kitchen to cook a hearty meal and chat with your housemates. You won’t have to worry about cleaning the pots and pans after – your dishwasher will take care of them. Later, you can attend one of the regular residents’ events to make a few new friends. Alternatively, hit the fitness center for a workout, or enjoy a few leisurely laps of the swimming pool. Reward your aching muscles with a dip in the hot tub, then go back to your apartment and freshen up in the privacy of your bathroom – you’ll either have your own or share one with a friend. Sit down in the clubhouse later to work on your assignments on your laptop, and grab a latte from the on-site coffee bar to keep focused. If you have to work on a group project, you can book one of the communal study spaces at Avenue East. After, grab some friends and hit the basketball or sand volleyball courts. You’ll have peace of mind when you stay at Avenue East, with electronic door locks to keep your belongings secure. The 24-hour management team based on site will be happy to help you if you have any problems. We couldn't find a room that matches your preferencesView all Private Room in Avenue East. We couldn't find a room that matches your preferencesView all Entire Place in Avenue East.